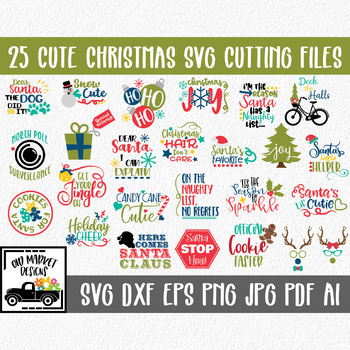 Cute Christmas SVG Cut file Bundle - 25 Christmas Images - Clip Art & More! 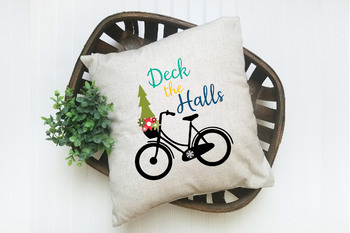 These fun Christmas images can be used for a variety of projects. Cut them out with a cutting machine, such as a silhouette or cricut. Use them as clip art on your worksheets or other projects. Print them out and hang them up for fun decorations. The ideas are endless. Please read before purchasing! This is a digital product, NO physical product will be sent. 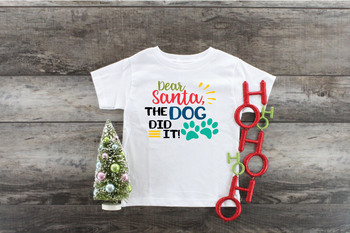 This file is created primarily for customers to use with cutting machine software, such as Silhouette Studio Designer Edition or Cricut Design Space. You are responsible for knowing what files work with your machine. However, if any of the files included in this listing do not work with your software, please contact me. I have also included files in this listing that work with scrapbooking, crafting and other digital art. Files come in zip folders. These files are available as an INSTANT DOWNLOAD. Once your purchase and payment has been processed, you will receive an email with a link to your digital files. It will say: "View your Files on Etsy". Click on that link and you will be able to access your digital file. This email will be sent to the email address you have on file with Etsy, so please make sure it is correct. The download link can not be resent. You can also access your digital items by logging into your Etsy account, click on "You" in the top right, choose "Purchases and Reviews" and then go to the corresponding order. Click on Download Files. Please contact me if you have any questions or problems concerning your order. PLEASE NOTE: This is a Digital Product! No physical item will be sent. For Personal and Commercial Use. Permission is given for Personal and Small Commercial Use - no license required. However, a link back to my shop would be appreciated. You are welcome to use these files to create products for personal use or for sale. Please do NOT resell or distribute any part of these images for digital download or redistribution. They also can not be used on "print-on-demand" sites. Do not claim this artwork as your own.